Lu L, Hope BT, Dempsey J, Liu SY, Bossert JM, Shaham Y. Central amygdala ERK signaling pathway is critical to incubation of cocaine craving. Nature Neurosci. 8: 212-219, 2005. Lu L, Grimm JW, Hope BT, Shaham Y. Incubation of cocaine craving after withdrawal: a review of preclinical data. Neuropharmacology, 47: 214-226, 2004. 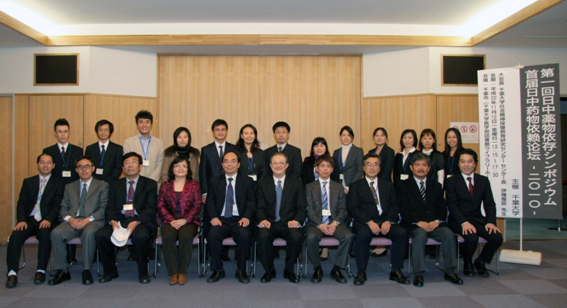 Liao Y, Tang J, Corlett PR, Wang X, Yang M, Chen H, Liu T, Chen X, Hao W, Fletcher PC. Reduced Dorsal Prefrontal Gray Matter After Chronic Ketamine Use, Biol Psychiatry. 69：42-48, 2010. 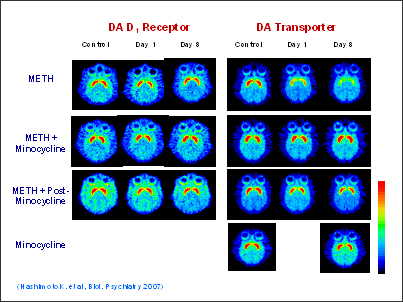 Sekine Y, Iyo M, Ouchi Y, Matsunaga T, Tsukada H, Okada H, Yoshikawa E, Futatsubashi M, Takei N, Mori N. Methamphetamine-related psychiatric symptoms and reduced brain dopamine transporters studied with PET. Am. J. Psychiatry 158: 1206-1214, 2001. Sekine Y, Ouchi Y, Takei N, Yoshikawa E, Nakamura K, Futatsubashi M, Okada H, Minabe Y, Suzuki K, Iwata Y, Tsuchiya KJ, Tsukada H, Iyo M, Mori N. Brain serotonin transporter density and aggression in abstinent methamphetamine abusers. Arch. Gen. Psychiatry 63: 90-100, 2006. Sekine Y, Ouchi Y, Sugihara G, Takei N, Yoshikawa E, Nakamura K, Iwata Y, Tsuchiya KJ, Suda S, Suzuki K, Kawai M, Takebayashi K, Yamamoto S, Matsuzaki H, Ueki T, Mori N, Gold MS, Cadet JL. 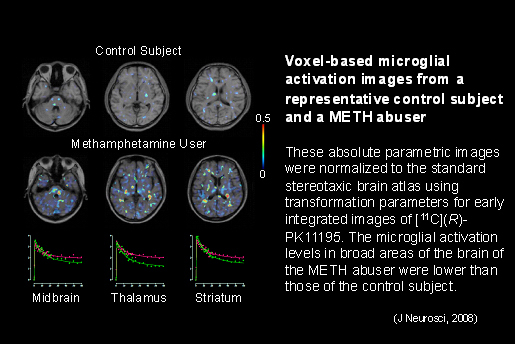 Methamphetamine causes microglial activation in the brains of human abusers. J. Neurosci. 28: 5756-5761, 2008. Hashimoto K, Tsukada H, Nishiyama S, Fukumoto D, Kakiuchi T, Iyo M. Protective effects of minocycline on the reduction of dopamine transporters in the striatum after administration of methamphetamine: a positron emission tomography study in conscious monkeys. Biol. Psychiatry 61: 577-581, 2007. Sofuoglu M, Mooney M, Kosten T, Waters A, Hashimoto K. Minocycline attenuates subjective rewarding effects of dextroamphetamine in humans. Psychopharmacology (Berl) in press, 2010.